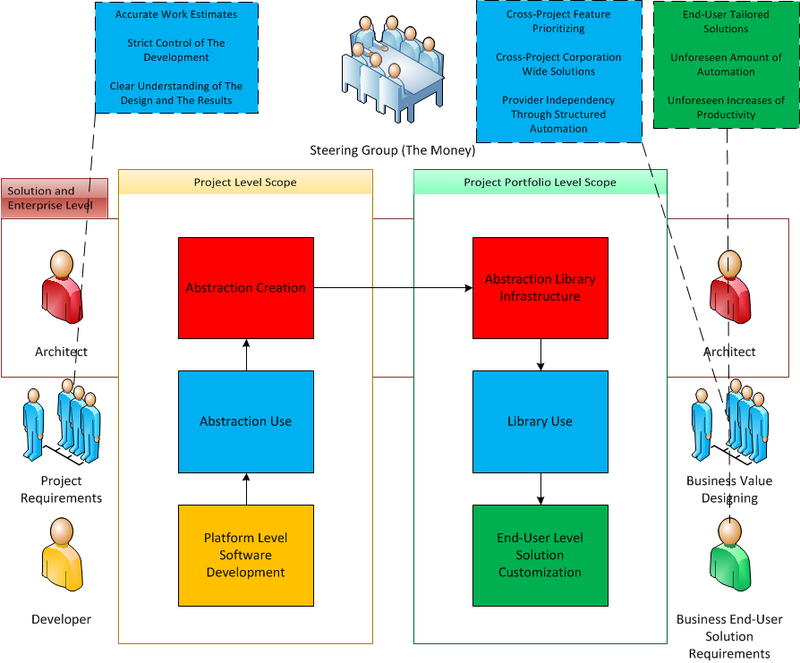 Roles in the ecosystem are visualized and mapped to the infrastructure overview explained at high level below. The money and the business are not always involved, but the interest group and the resource coordination maps to open source community projects as well. The ecosystem presented here simply forms up when integration interfaces start to use automation and register their integration interfaces to the distributed catalogues. By the design they all are completely open source and the distributed catalogues are simply accessible (public or private) git-repositories. The infrastructure also describes and forms up a way for any party act as a certification and validation provider. 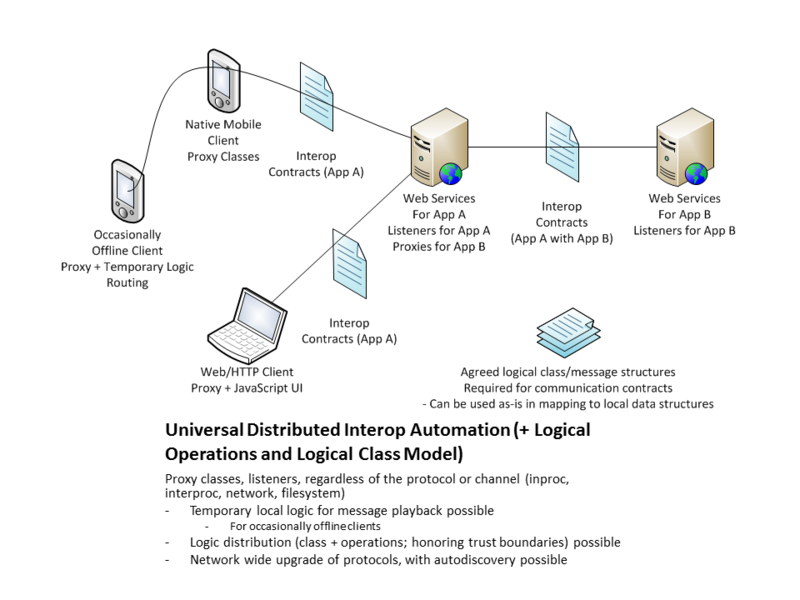 In addition of integrating “only” with SOA service interfaces, the model allows form of a “Universal Interoperability”. 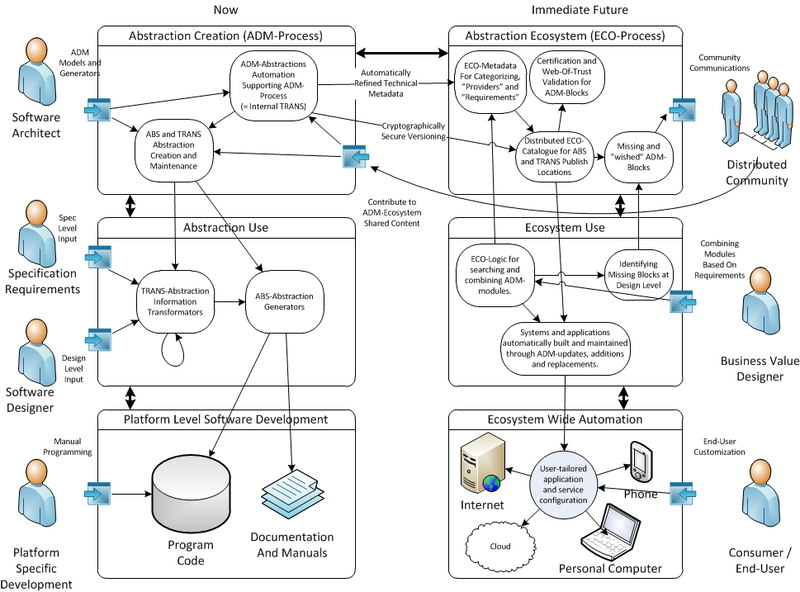 Used in a way where final implementation is included within the ADM-module itself, it allows the ecosystem infrastructure to build complete applications and solutions by simply combining modules based on requirements and features from top down. 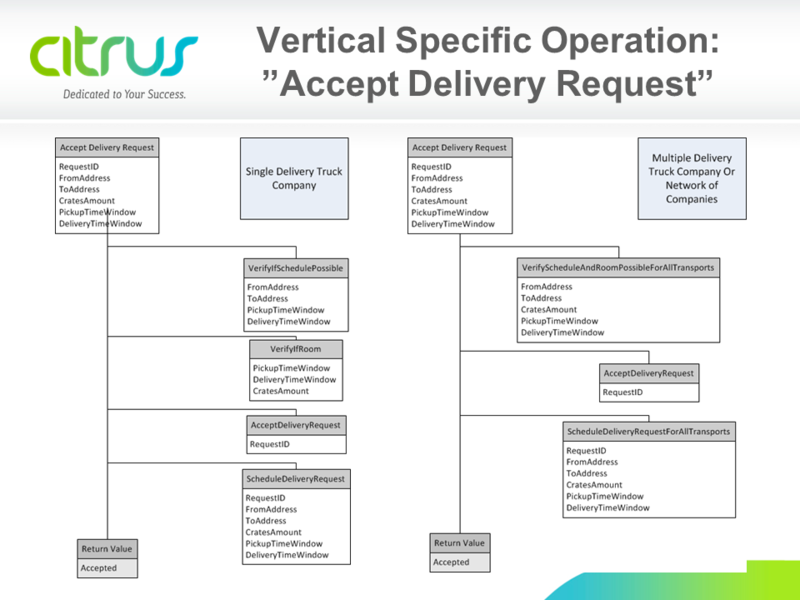 The features simply feed in “Requirements” that are fullfilled by “Providers”. The logical operations (equal to business process in a way) are identified by their input signature (defined at semantic level by the provider) and their return value so that they become interchangeable. Separate mapping operations allow converting data between different semantic models. Of course their requirements (that is their use of other “block” operations) differ and hence their dependency chain is different. All the technical details of how git repositories are used will be described and maintained in separate Git Distribution area.